It’s a glorious day down on the Bristol harbourside for this years Bristol Triathlon festival. We’re here with the bikes, wetsuits and gear. BELL METEOR HELMETS – CLEARANCE – £89.99 SAVE £40! Come on down, meet the team and enjoy the sunshine. 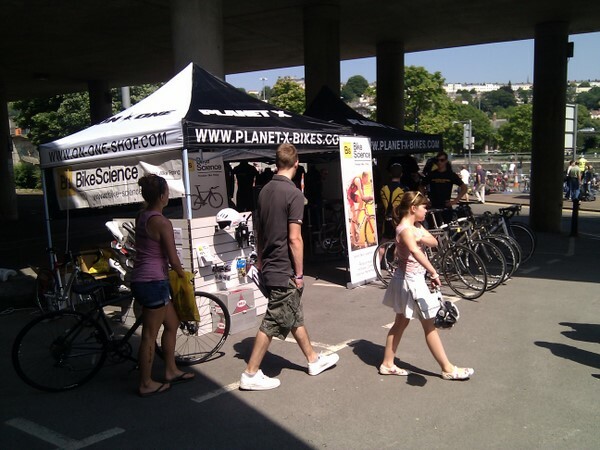 This entry was posted on Sunday, July 3rd, 2011 at 12:15 pm	and is filed under All Posts, Planet X Bikes, Van Nicholas Bikes. You can follow any responses to this entry through the RSS 2.0 feed. Both comments and pings are currently closed.